I have always had a love for the outdoors, but my affection for all things wild has grown exponentially over the last few years. Summiting Mount Whitney last fall was a life changing experience for me. I felt connected to nature and myself and those I was with, in a way I never had before. 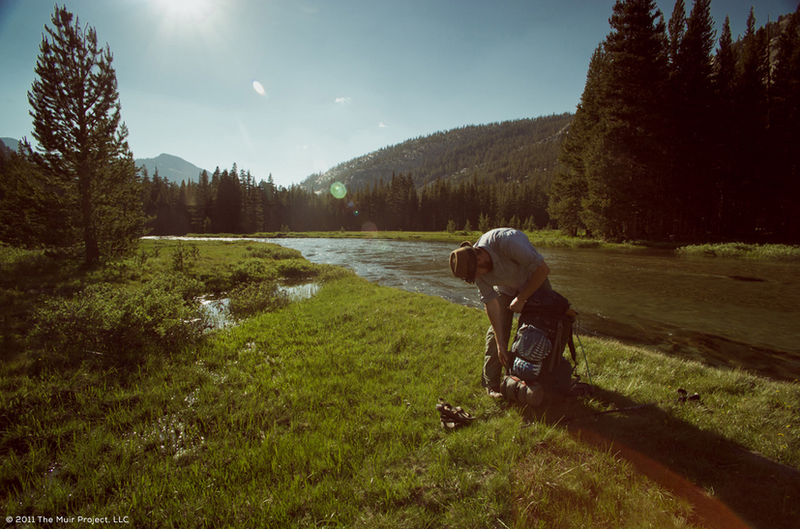 After having just a taste of the John Muir Trail, I was so excited when this film came across my radar. Mile, Mile & A Half is a “collective journal” come to life. This film documents the experiences of what started as a group of five friends, that by the end had over doubled. Along the way, they met artists, musicians, and others just out for an adventure. Each individual adding to the overall experience. The filmmakers invite you to “Come laugh, limp, sing & walk with us” and this is truly the essence of the film. Mixing those elements with beautiful images and an incredible soundtrack create the overall dynamic and meaning, which in the end is what John Muir’s life mission was all about; his letters, essays, and books telling of his adventures in nature, hoping to help preserve the Yosemite Valley, Sequoia National Park, and other wilderness areas. Watching this film made me feel a part of something special. It made me feel refreshed and ready for the next big adventure, whatever that may be.